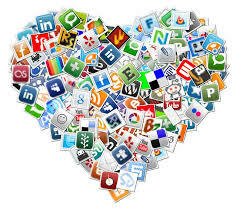 Is Your Company Embracing Social Media in 2014? If your company hasn’t got to grips with social media, you’re in serious danger of being left behind when it comes to your online presence. But don’t panic just yet, there’s still time to get in the game and embrace social media as an integral part of your marketing efforts for the year ahead. Ad-ology recently surveyed 1169 small and medium-sized business owners and marketing decision makers in SMBs and found that 31.1% don’t even have a website, so it’s fair to say that small businesses have some catching up to do. Even big firms that decided social media was a flash in the pan a year or so ago are hurriedly trying to make up lost ground. Many have no concept of the true potential of Twitter, Facebook, blogging, Google Plus, Pinterest and LinkedIn. The ones that do are planning to increase their spend for 2014, though, with 13.8% claiming they were planning sponsored Tweets and Facebook posts as part of their advertising spend for the coming year. A 2012 study by the McKinsley Global Institute drew the very clear conclusion that businesses that have embraced social media are more profitable than businesses that haven’t. So if you need any motivation to get that Facebook page up and running and a consistent Twitter feed, the difference it makes to the bottom line should be more than enough. ROI on social media is now completely provable and so if you need to, it’s justifiable to the finance department too. No matter what your business, social media channels provide the opportunity to present a brand personality. People buy from people, and social media allows you to take the customer behind the scenes and show them what really happens in your company, or what you’d like to show them anyway. You can introduce your key personnel, show case studies in a casual way and give your fans, followers and connections a reason to buy from you. You can also build yourself up as an authority figure in your industry by commenting on breaking news through a blog, which is a tried and tested means of building a following. It’s a clear way to gather sign-ups, too. If you have an interesting blog, people will sign up to your newsletter and an email address is a valuable commodity, as you can then go to work with email marketing, which is one of the cheapest (and most effective) ways to market your product or service. Which social media to focus your efforts on is a tough one. Youngsters love Snapchat and Instagram and there is substantial evidence to suggest that Twitter is a more powerful sales force than Facebook. Google Plus, meanwhile, is a mystery to many right now, yet there is the over-riding feeling that a social network linked to Gmail, with the might of Google behind it, is already too big to ignore. Deciding to embrace social media is just the first step, too. Having made the decision to devote time, resources and potentially money to social media, you then have to devise a strategy, a tone of voice and your end goals. It may simply be to raise awareness, but if you’re looking to convert social media then be prepared for the long haul and be prepared to feel like a lone voice in the forest until you build a following. You also have to be ready to cope with an influx of messages. You need to be able to monitor your social media channels, you have to be ready to respond when potential customers reach out to you and you have to find the time to nurture this incredible source of free publicity. Plenty of companies have started out with good intentions, but if you don’t have the resources to put someone on the social media channels then your efforts can die on the vine. Social media can be incredible PR, a direct line to your customers and some of the cheapest market research you’ll ever come across. You have to manage it, but do that and any investment you make in Facebook, Twitter, Pinterest and Google Plus will pay off down the line. So if you’re still wondering if you should get on the social media train then it’s time to start running, before it leaves the platform.